A Pool Safety Fence Gate you can trust! Pool Fence Gates are not all created equal! Call today to speak with a professional pool safety fence expert to discuss the many different gate options available and to understand why this gate is the safest available on the market. 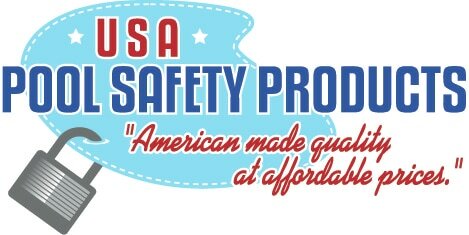 USA Pool safety Products offers a top rated, self-closing and key-lockable pool fence gate. It is available in multiple colors and comes in 4 foot and 5 foot heights. 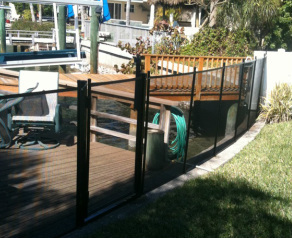 We have tested every type of Pool Safety fence gate on the market for quality, strength and durability. We have found that in order for a pool safety gate to be safe, the Pool gate should not be tension reliant on the pool safety fence. That is why we recommend and offer a Pool Safety Fence gate with a framing system. This allows the Pool gate to stand alone, or be monolithic. It's not tension reliant, thus it's deigned to stay within adjustment, offering better protection against accidental drowning.